Why was Queen Mary Tudor known as Bloody Mary? Reasons for the nickname Bloody Mary? Facts and brief history explaining why was Queen Mary Tudor was known as Bloody Mary? The eldest daughter of King Henry VIII and Queen Catherine of Aragon reigned as Queen Mary of England from 1553 to 1558. Just five years. 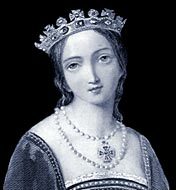 How, in such a short period of time, was this woman, the rightful heir to the English throne, given the terrible nickname of Bloody Mary? Her nickname - Bloody Mary - came from the number of Protestant Tudors who were executed during her reign. The nickname, Bloody Mary, was not given to Mary Tudor until after her death. It was given to her for the religious genocide of men of the Protestant faith during her reign. A nickname such as 'Bloody Mary' would indicate that she had been the cause of thousands of deaths. In fact only 287 Protestant executions during her reign. In comparison her father, King Henry VIII, had been responsible for 57,000 deaths including men such as Sir Thomas More. So why was Queen Mary Tudor known as Bloody Mary? Reasons why Queen Mary Tudor was known as Bloody Mary? The method of execution of many of the Protestants was execution by burning. This was the favored execution method of the Catholic Spanish Inquisition. Mary Tudor married King Phillip II of Spain. The English people were terrified that the Inquisition would be introduced into England. After her death England returned to the Protestant religion under Queen Elizabeth I. The reign of Queen Elizabeth I also saw the attempted invasion by the Spanish Armada. Under these circumstances the name of the Catholic Mary Tudor, wife of the hated Spanish King, was totally blackened. Queen Mary Tudor was given the name 'Bloody Mary'. And this is how she is still referred to in England. Each section of this Tudors website addresses all topics and provides interesting facts and information about why was Queen Mary Tudor known as Bloody Mary. The Sitemap provides full details of all of the information and facts provided about the fascinating subject of the Tudors!